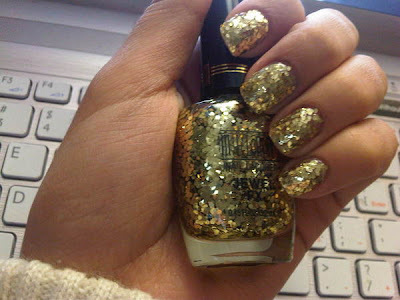 Nail polish Gold 'milani' jewel fx. I have that nail polish. Its the most hardest thing to remove without acetone remover.